Run Race 3D is a running game where you can compete with others and get the real parkour experience. This game provides dozens of maps and all require different set of skills. However, if you find it very hard to play this game on a small phone screen, you may play it on a much bigger display on your PC. This article will give you the best way on how to play Run Race 3D on the computer. ApowerMirror is the best screen mirroring app that you can use to mirror your phone to a computer or a TV. Moreover, this tool also allows you to record your screen activity especially your awesome gameplay so that you may share it with your friends. 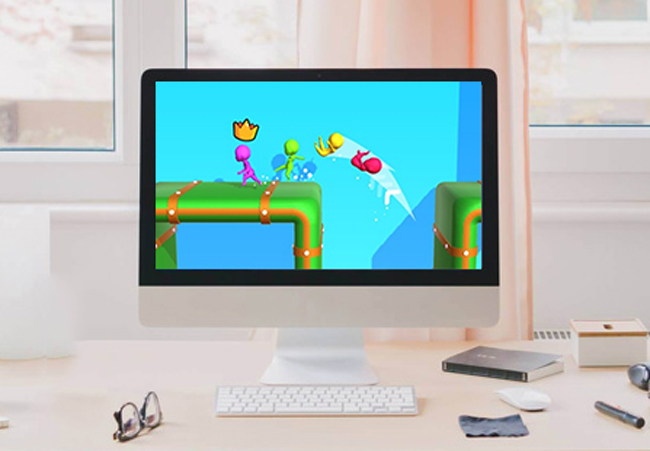 Follow the simple steps below to learn how to play Run Race 3D on PC. Download, install, and run the application on both your PC and phone. On your mobile phone, tap on the blue “M” button at the lower mid part of the screen. Then it will search for devices automatically. Choose the name of your PC then hit “START NOW” to start the screen mirroring. Finally, open Run Race 3D and enjoy playing it on your computer. 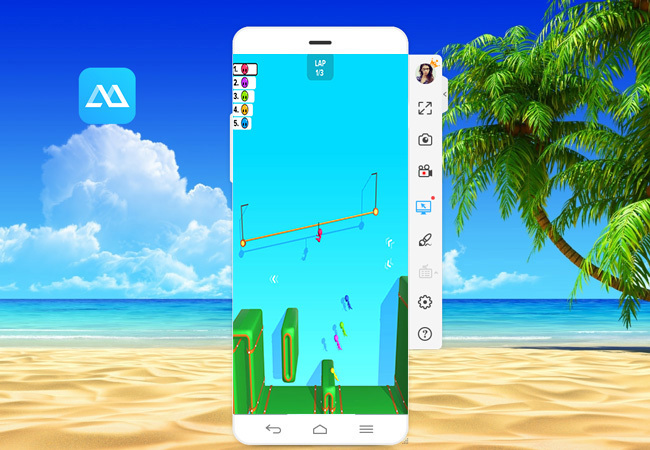 Run Race 3D is mobile game with a very simple control. 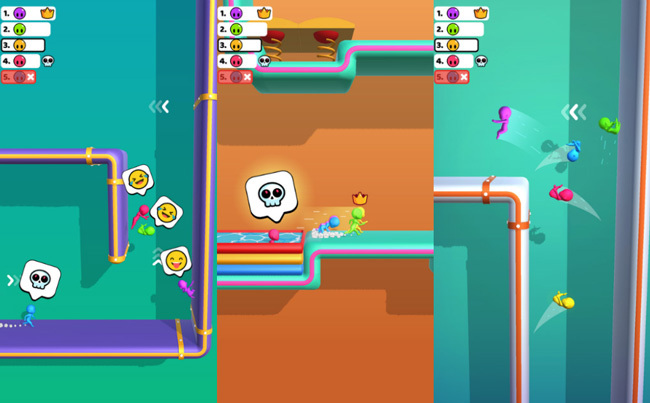 It is an one-tap button game wherein the only thing you need to control is your character’s jump. For you to learn how to jump perfectly to reach the top spot, check out the tips and tricks below. This game is being played against three other players, that is why your character needs to be unique so you can distinguish it from the rest. After jumping from the ground or any platform, you can also jump for the second time on mid-air. This will let you to reach higher altitudes to get ahead of your opponents. Your jumps play a crucial role in winning this game. Jump properly and deal with the obstacles that may cost you time. What’s more, it has something like a zip-line or a slide that will help you speed up your race instead of just jumping. However, at the end of the slide or slip-line, avoid touching the wall for it will cause you to slow down. You should focus on extending your lap far away from your competitors, as it is a good sign that you are doing a great job. Do not hesitate to continue running and gaining more ground/platforms to win the game. If you need to bounce from one wall to another, make sure to double jump first to end up on a higher elevation to get away from that wall. There are levels in this game that you have to pass through a thin corridor and the only way out is by grabbing a rope. By doing so, make sure you are not grabbing and holding the rope for you to gain a longer meter away. Some levels are free without any competitors and you play alone to complete the level by collecting coins. Grab as many coins as you can for you may use these coins in buying and unlocking a variety of skins. Moreover, you may also gain coins by watching video ads. Different levels, different maps. Your map will distinguish your level. The higher the level, the harder the design of the map. Run Race 3D is not only a game to kill time, but also a way to practice your patience. To play Run Race 3D on PC, ApowerMirror is the best way for you. Now you can enjoy and kill your boredom with the help of this tool. Rating: 4.8 / 5 (based on 24 ratings) Thanks for your rating!